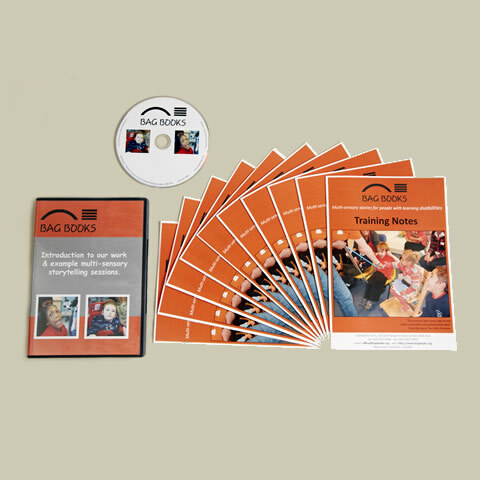 Our Training Pack consists of a DVD and ten copies of the Training Notes booklet. The DVD features a short introductory film plus ten complete storytelling sessions (over 100 minutes in total). The storytelling sessions feature both children and adults covering PMLD groups, SLD groups and ASD groups. The accompanying Training Notes is a 20-page full colour booklet explaining how multi-sensory books work, related academic research and practical tips drawn from over twenty years experience. The booklet also guides the viewer to note key reactions in the listeners.